This is looking great! Love how you have 2 different sizes pinwheels. I do like that movement created by the chevrons. So much fun. This looks great and I love the movement! great design! 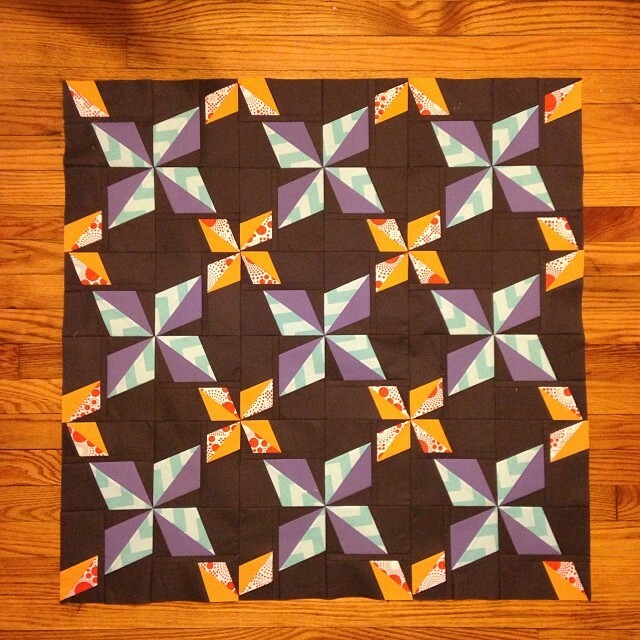 I like the big and small pinwheels, makes me want to work on my challenge quilt! good luck! The blue chevron gave me grief--you solved it so well with direction in the pinwheels! Your orange with the dot looks good too. Well balanced motion and rest. I like it a lot! This was a tough combination of fabrics. What you came up with is great! oh this is very nice! Love the stripe in the pinwheel!